Leaving your job can be a decision that may prove to be difficult. It comes with its own set of advantages and disadvantages. But whatever the reason for your departure may be, do not just walk out the office doors without giving any sort of notice. 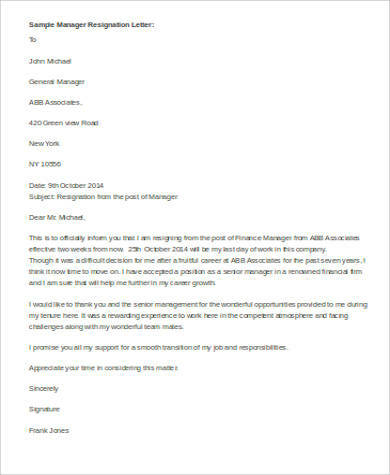 Always give your employers a heads up by handing them a resignation letter. 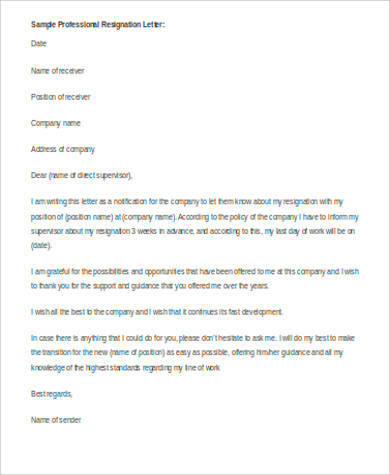 Writing such letter may seem like a chore, but it is a mandatory part of your exit process to help you leave your job with grace, and these Sample Letters can help you draft your resignation letter with ease. 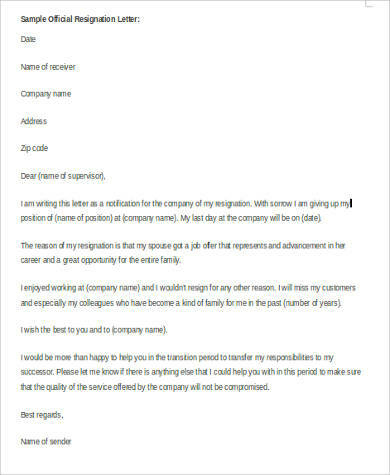 Resignation letters are basically notices that let your employers know you do not wish to be associated with the company or organization anymore. Whatever your may have, good or bad, it is not a means of burning bridges. More than just a simple notice of letting your employer know of your plans of leaving, it is an excellent way to maintain a good relationship with them. Be straightforward. Apologize for the inconvenience your resignation may cause and immediately state the position you’re resigning from and you’re proposed end date. Set aside your personal emotions. Your resignation letter is not an avenue for your rants against the company or your employer. 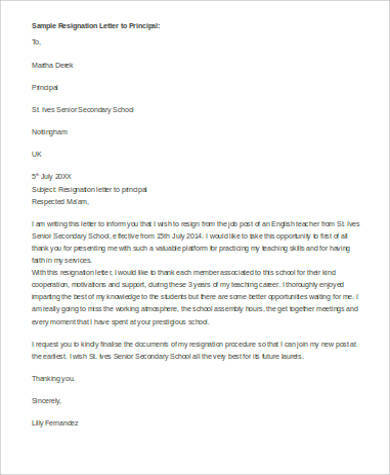 Keep the tone of your letter calm and professional. It is important to avoid slang and lingo. 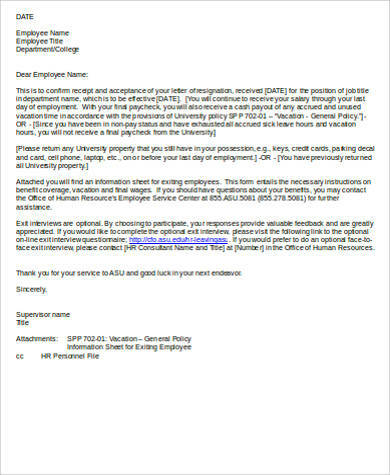 Express your gratitude for the employer. After all, they gave you an opportunity to showcase your skills and contribute to the well-being of the company. Always offer to make the transition as smooth as possible. Give an impression that despite your plans of resigning, you are dedicated to your job and you give importance to work ethics. 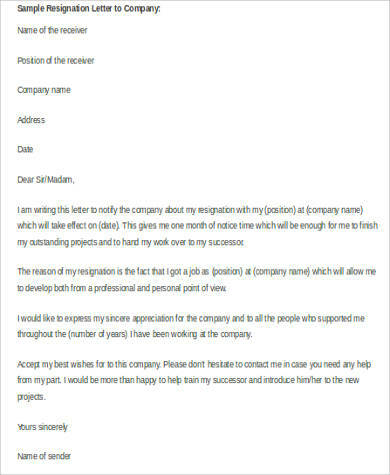 You may want to check out our Sample Job Resignation Letters and Sample Resignation Letters for more ideas in crafting your resignation letter. Resigning from your job might be a difficult decision to make, but sometimes, it has to be done. But remember that it is not the end of the line. It just may open a new and better opportunity for you. 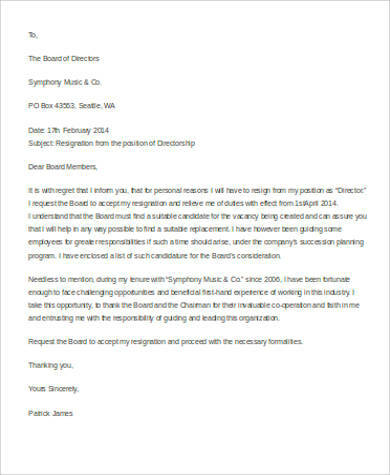 A proper resignation starts with a good resignation letter. It gives an impression that you respect what the company was able to offer you. It also gives your employer an insight on how you were feeling during your stay. It is up to you if whether you want to discuss your reason for leaving or not. A graceful exit from your job guarantees that there will be no hard feelings between you and your employer. It also ensures that problems will be avoided when time comes that you are offered a new job in the future. 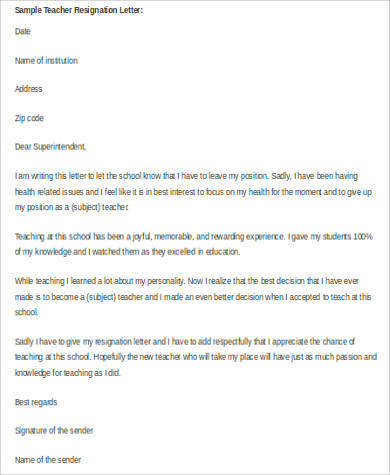 If you are able to write your letter in a proper manner, it can help the resignation process go smoother than expected. 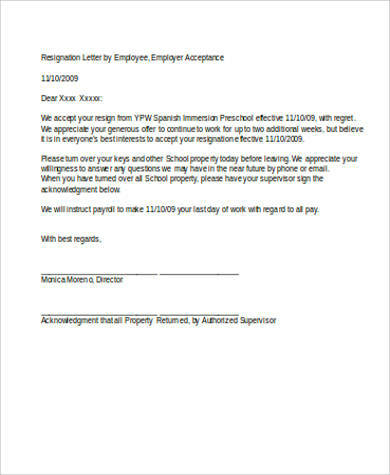 You may also see Formal Resignation Letter Samples for more examples of resignation letter templates.